W. Theodore Etzel, III, the chair of Conditioned Air, recently presented at the Air Conditioning Contractors of America conference in Fort Worth, Texas. Check out the full article here. In June, Tim Dupre was named CEO of Naples-based Conditioned Air, taking over that title from longtime company operator, Theo Etzel. But the transition was actually more than three years in the making, the result of a well-thought plan to ensure a smooth changeover. Check out the full article here. Mr. Sanders was 21 when he joined the staff at Conditioned Air in Naples. Fifty years later, he feigns confusion when folks ask when he’s retiring. At 71, he’s now a field supervisor, overseeing much of the work he used to do himself, although he still makes house calls. For more on Mr. Sanders' 50 years, check out the full article here. 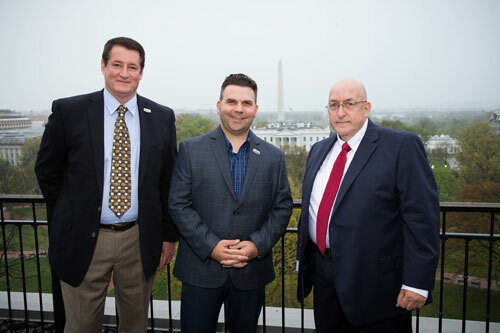 The Conditioned Air team of Naples, Fla., joined Rheem® in celebration at the company's Top Pro Partner awards dinner and reception in Washington, D.C. on April 24th, 2018. 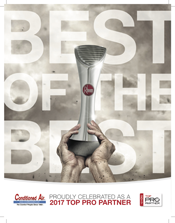 The event recognized and rewarded an elite group of HVAC businesses that demonstrated excellence in Rheem sales, customer support, and overall service during 2017. 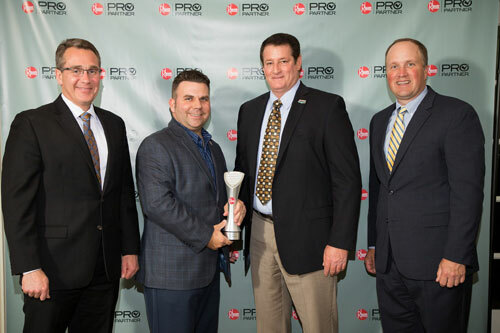 Pictured From Left to Right: Randy Roberts, Vice President and Sales - Rheem Air Division, Timothy DuPre - Conditioned Air, Jeff Zanella - Conditioned Air, Mike Branson, Executive Vice President and General Manager - Rheem Air Division. Conditioned Air Company of Naples LLC announced that Chief Executive and owner W. Theodore Etzel III and his wife, Kim, have received the Doyle E. Carlton Award from Stetson University. The award was presented at the 2017 Alumni and University Awards Ceremony on November 4th at the university. The Doyle E. Carlton Award is one of Stetson University's highest honors and is presented annually to an alum or friend of the university in recognition of devotion to Christian higher education and in appreciate for his/her extraordinary contribution to the life and development of the university, City of DeLand and State of Florida. It is named for Doyle E. Carlton Sr., a former Florida governor and Stetson alumnus and trustee. Learn More.